Fujitsu Ltd. (6702) said it seeks to receive most of the 200 billion yen ($2.6 billion) of supercomputer orders targeted by the Japanese government in the next five years and is close to releasing its K supercomputer. The supercomputer, which toppled China’s Tianhe-1A as the world’s fastest supercomputer in June, is “more or less market- ready” and Tokyo-based Fujitsu will probably make an announcement about its availability next month, the company’s president, Masami Yamamoto, said in an interview in Geneva. The K supercomputer, equipped with more than 80,000 central-processing units and with a target performance of 10 petaflops, is aimed at government-backed universities and research centers, particularly in emerging markets. A petaflop is a measure of a processing speed and can be expressed as a thousand trillion, or quadrillion, operations per second. 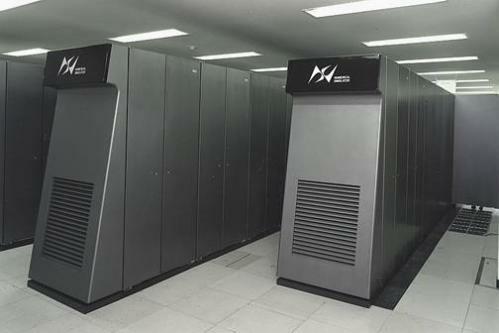 Fujitsu had stopped exporting supercomputers for about a decade. Fujitsu is also counting on rising sales from so-called cloud services, which allow clients to outsource data centers, and other computing resources to clients. The company predicts sales in that area to triple from the current fiscal year to about 300 billion yen in the 12 months ending March 31, 2013. To reach that target, the company has added public cloud services in markets including Japan, the U.S., the U.K., Australia, and Germany this year in addition to offers it tailors for corporate clients. It’s also starting to see interest for its Convergence Services Platform, which can process data in real time and show consumption patterns for the energy and health industries, among others. Huawei Technologies Co., China’s biggest maker of phone equipment, is also trying to increase its cloud-computing business and is focusing on industries such as health, energy, transport and finance, Ron Raffensperger, the company’s director of cloud computing marketing, said in a separate interview in Geneva. Huawei, based in Shenzhen, is seeing “a lot of interest” from companies in Southeast Asia, Australia and the Middle East, while European companies are hesitant because of the current macroeconomic uncertainty, he said. Governments investing in cloud services provide an opportunity for Huawei as well, he said, declining to name specific customers or targets for his unit.